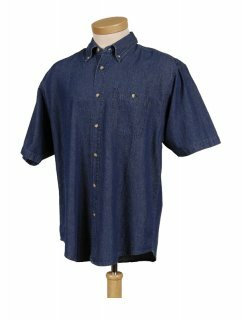 This casual, versatile shirt is made of sturdy stone washed denim. It is lightweight, comfortable, and stylish, making it perfect for a variety of work environments as well as leisure wear. * Sizes 5XL - 6XL and all tall sizes require a special order and are available upon request. Please call (408) 287 - 3942 to place an order.